Making sure your organisation is compliantly engaging with Professional Contractors doesn’t need to be complicated, but it does need a process. The risk of misclassification of workers can be costly, both in terms of unexpected tax bills and potential reputational damage to your brand. That said, you shouldn’t be overwhelmed by getting the right process in place. 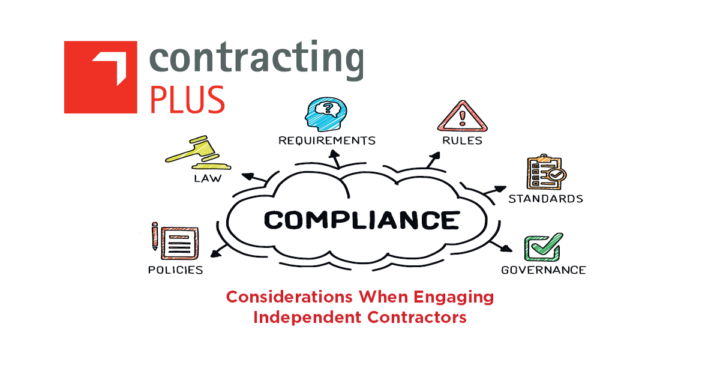 Your Independent Professional Contractors must be treated differently to your employees. That doesn’t mean better or worse, it just means differently. They are not employees and as such should not have access to employee benefits and perks. The contract you have with your independent contractor is worthless if it can be deemed that the relationship between the worker, and the work being done was more in line with what would be considered ‘employment’. By having a consistent and repetitive process, your contractors will know what to expect and will arrive ready to work within the agreed parameters. There are almost no regulations in Ireland specifically covering Independent Contractors. Does that mean you can rest easy? Unfortunately, no. There are Revenue Guidelines on what constitutes a self-employed individual and there are best practice guidelines. Both the Revenue Commissioners and the Department of Social Protection are focussed on bogus self-employment. While this is welcome for many unskilled workers with no voice, they are also treating bona fide Professional Contractors in the same way. Companies who have engaged Independent Professional Contractors have found themselves with tax liabilities after the authorities deemed the relationship was employer/employee. The contract in place and the words of the company and the contractor were irrelevant. In 2018 a new law was proposed which criminalises company directors for misclassifying their workers. While this proposal never made it into the official Bill, it is a strong indication of the direction we are headed. The UK already has specific legislation (IR35) covering this. Ireland won’t be long following. It’s better to start managing your processes now and independently assessing your Independent Contractors as a first step. A simple classification audit now is unobtrusive on operations and gives you time to make any necessary tweaks before you are doing these ‘against the clock’. It’s not a matter of if we get regulation, rather when. The companies we are working with in this regard are seeing big benefits from systemising their processes. Most companies today are employee friendly. A mistake companies all too often make is treating their Independent Contractors in the same way. However, as mentioned earlier, contractors need to be distinguished as a different class of worker. This doesn’t prohibit you from having an engagement program for your Independent Contractor population. This will build happiness and loyalty. Independent workers are empowered by doing the work they love, and if you can create an environment for them that makes this easy, and protects their independent status, then it’s a win-win. You are already working with experts in recruitment to source the best talent. You probably have great finance and compliance teams ensuring the right documentation is on file and all payments to contractors are matched by corresponding invoices. If Contracting PLUS are the accountants to your Contractors then you can be assured they are operating through tax compliant companies. We are the only Umbrella Company and Personal company provider with the ISO 9001:2015 Quality Management for Accountants and also have the ISO 27001:2013 for Information Security. But have you thought about independently assessing how successful, or not, you would be if the status of your independent workers was challenged by the authorities. Are you treating Independent Contractors more like employees? If you’re interested in learning more on this, email me or call me on (01) 611 0707.